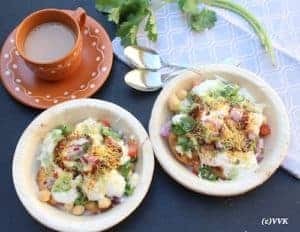 Papdi Chaat or Papri Chaat is one of my favorite chaat that can be assembled quickly once you have papdi ready. But the highlight is, there is lot of substitutes available for this papdis also. Papri or Papdi means wafers or crackers. Traditionally this chaat is prepared with the fried flour wafers, topped with boiled potatoes, onions, tomatoes, sev and of course with sweet and green chutney. You can add yogurts and make it Dahi Papdi Chaat and that’s what I am presenting today. Instead of papdis, I have tried tortilla chips. Both corn flavored ones and also veggie flavored ones. 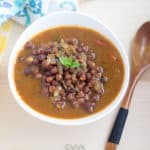 I always have canned garbanzo beans in my pantry to quickly whip up chole or some side for roti. That comes in handy for this chaat. 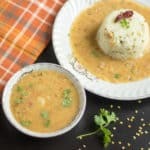 So my go to chaat or starter is always this papdi chaat and we can whip up zillion varieties with these simple ingredients that we have in hand. For this marathon, I wanted to try everything from scratch. But with hectic schedule, I had to go semi-homemade for few recipes. So for Pani Puri, I went with store bought ones, but luckily I was able to try homemade papdi’s and I posted the recipe yesterday. This recipe and the one coming tomorrow call for this homemade papdis. Chopped Cilantro – 3 to 4 tbsps. You can use stored bough garbanzo beans. In that case, wash them well and take about ¼ cup. Beat the yogurt and add the chaat masala and amchur powder and mix it well. Boil the potato in you preferred way and coarsely mash them. Chop the onions, tomatoes and cilantro. In a plate or bowl, take upto 4 to 5 papadis. Now add the boiled potatoes, chopped tomatoes, onions and cilantro. The drizzle the spiced yogurt mix and then some more sev, onion and cilantro. Add a dash of paprika towards the end. Here is the assembling video. 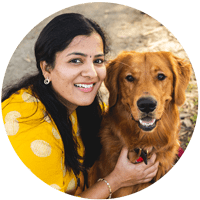 Instead of papdi, you can use tortilla chips or even ritz crackers. Adjust the spices, salt and chaat masalas as per your preference. 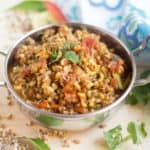 Sprouted moog dal can be used as a topping too. A quick and yummy chaat prepared with the fried flour wafers or the papdi, topped with boiled potatoes, onions, tomatoes, sev and of course with sweet and green chutney. You can add yogurts and make it Dahi Papdi Chaat. Chopped Cilantro - 3 to 4 tbsps. 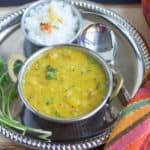 If you want to prepare it traditionally, you can soak the dried garbanzo beans overnight and pressure cook them for up to 3 whistles and once it is cooled down, set aside ¼ cup of dal. 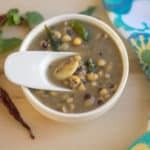 The remaining can be used for chole preparation. Add a dash of paprika towards the end. Dahi papdi chaat looks so inviting. Nice job in the video. he he come over here.. we can taste them together. Tempting and addictive papdi chaat. I second Suma’s observation. You video is great. Loved the chaat. This post is making me crave for papri chaat right away!! :-) Come over we can make it again. That is one more drool worthy chaat. Can i get a plate of this irresistible dahi papdi chaat, omg everytime i visit your space i seriously feel hungry. Tempting chaat again. Thanks Priya.. come over here plzzz. Mouthwatering chaat. The pictures are drool worthy. Thanks a lot Vaishali.. I wish I could pass that bowl too. 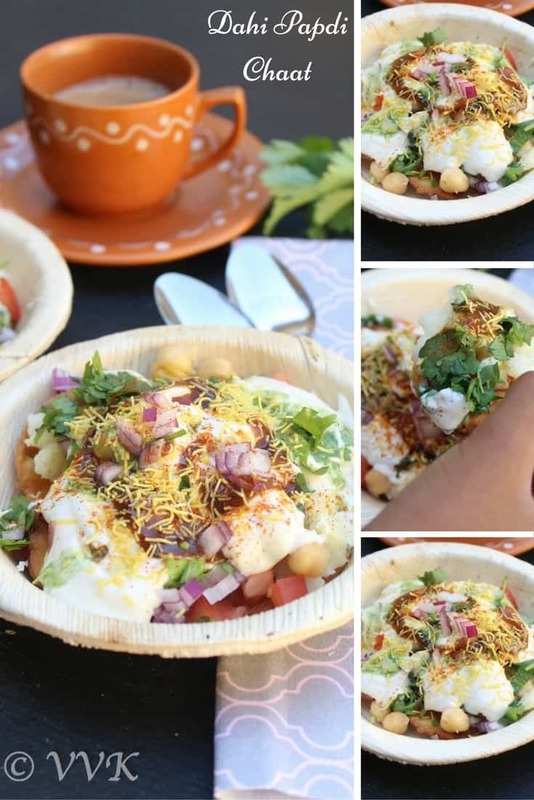 Yummy looking dahi papdi chaat,makes me drool..
U surely got our attention with all these chaats !! This is one of my personal fav ! Dahi papdi chaat looks yummy! That is a nice video of assembling the chaat.